Friday November 6th from 8pm to 10pm join in the Fun at Teen Night at the IB Sports Park. 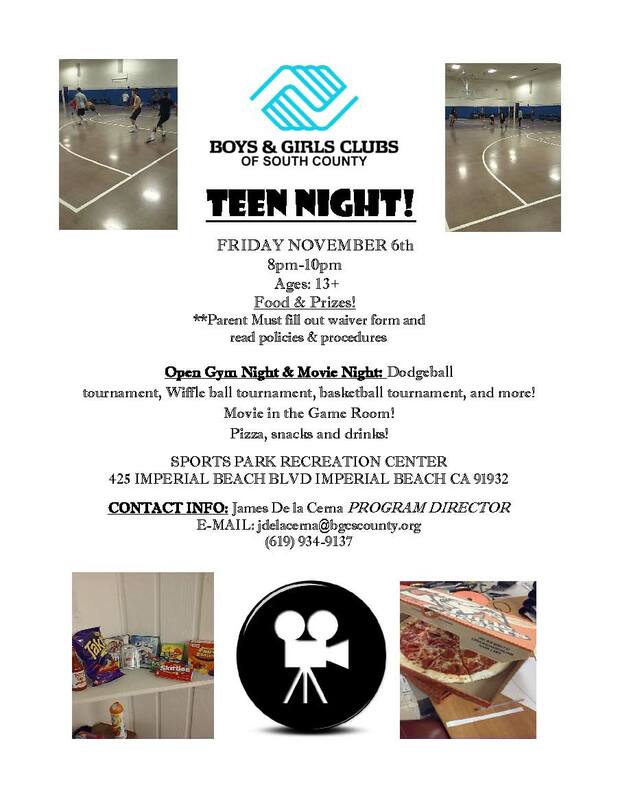 The Boys & Girls Club of South County will have a Open Gym, Movie Night, Dodgeball, Basketball Tournament and more. Ages 13+.